Jordan has known Ren for quite some time now, after living in his house for a bit in Minneapolis with their usual friend Jake. I had heard lots of stories of Ren + spoken t him a few times over the phone when we would talk to Jake, but I was finally able to meet him in person when we all went on a cruise with Jake and his family last summer. Ren is one funny guy, with a goofy sense of humor + a huge appetite (like seriously, I am talking about every course meal on the cruise he would eat double of)... Anyways, on that trip I was able to hear about the incredible Nikki. Over the week on the trip, Ren told me many stories, including how they met, what his favorite things about her were + what she was like. Fast forward to a year later, I still hadn't met Nikki, but began following her on Instagram as soon as I got off the boat and back on land once the cruise ended. I was already obsessed with her, but became even more obsessed when she asked us to shoot her wedding + we began actually talking. 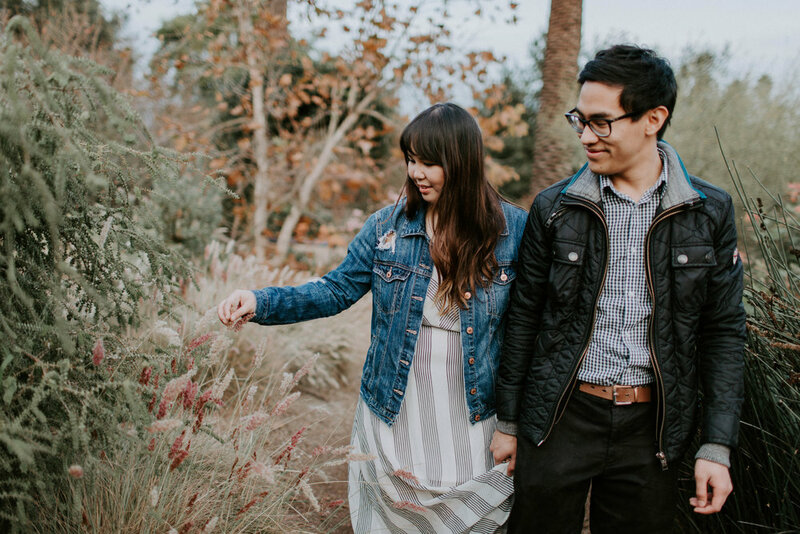 After making plans to shoot their wedding, we knew there would be no time for an engagement session before the wedding. 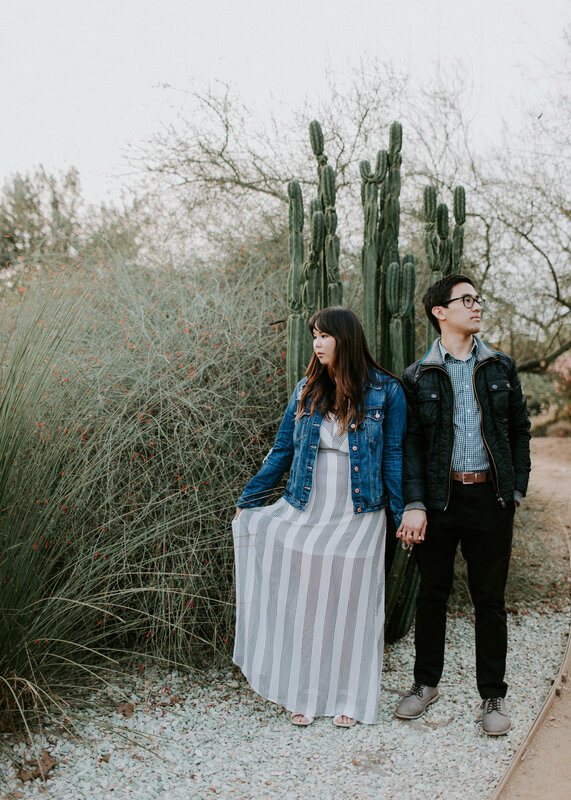 Short engagement + long distance relationship + out of state photographer = a little bit of an issue. 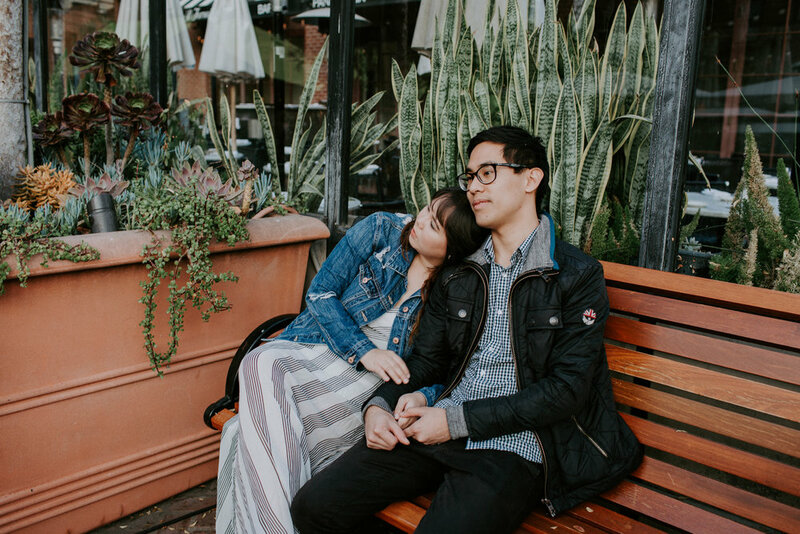 We decided to do a shoot a couple days before the wedding when we arrived in LA, so here are a few of my favorite shots! 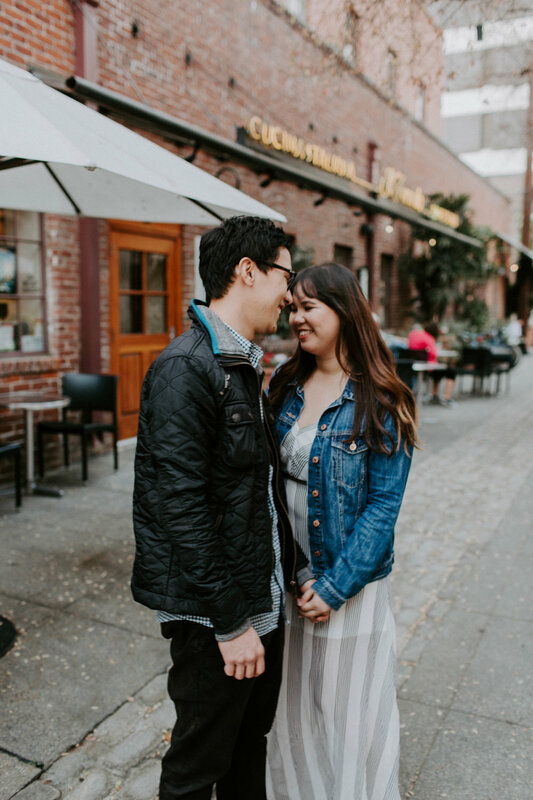 Ren + Nikki took us around their favorite spots of LA and we ran around capturing their love just a few days before their gorgeous wedding (which I will be sharing soon)! Thank you Ren + Nikki for inviting us out to LA, trusting us to tell your love story + treating us like family! We love you guys!